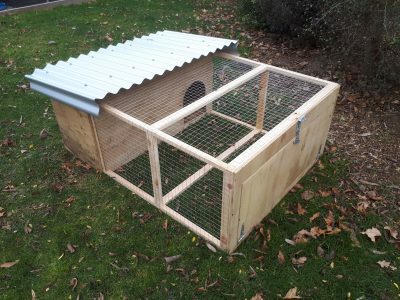 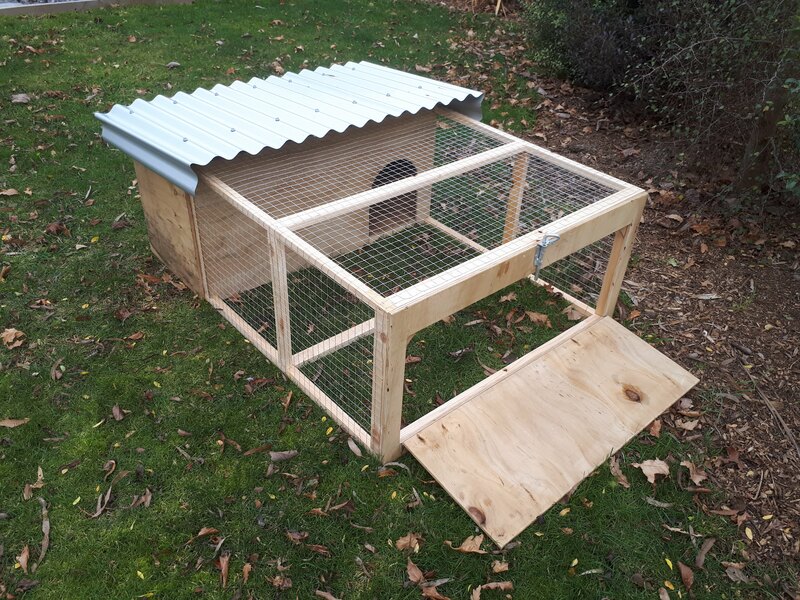 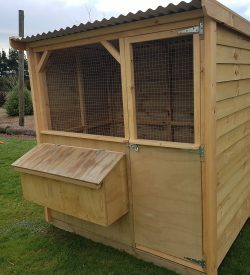 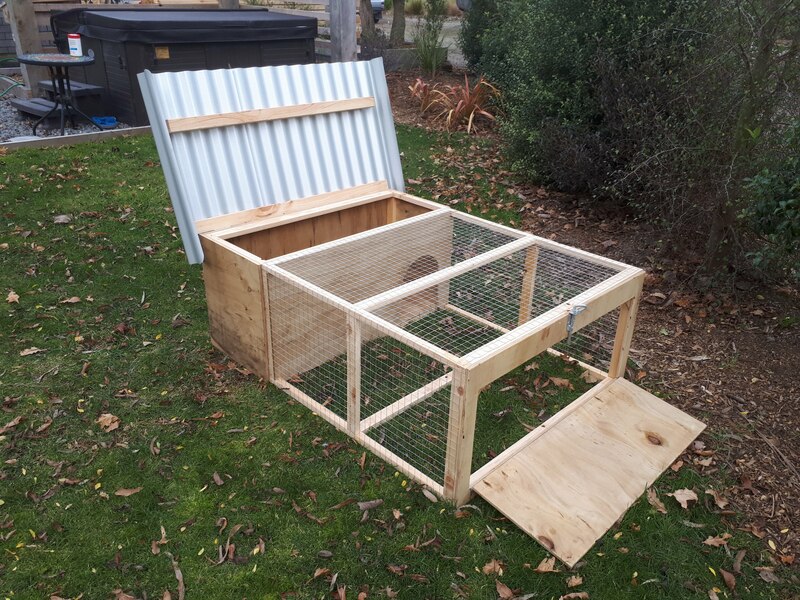 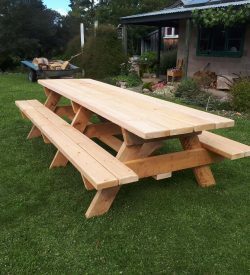 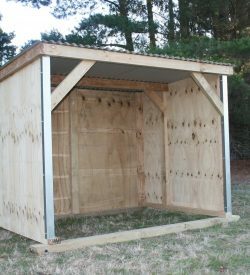 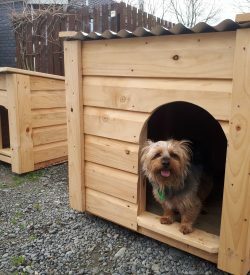 Rabbit hutches can be made ground based or made 400 mm off the ground on legs (as an extra $20). 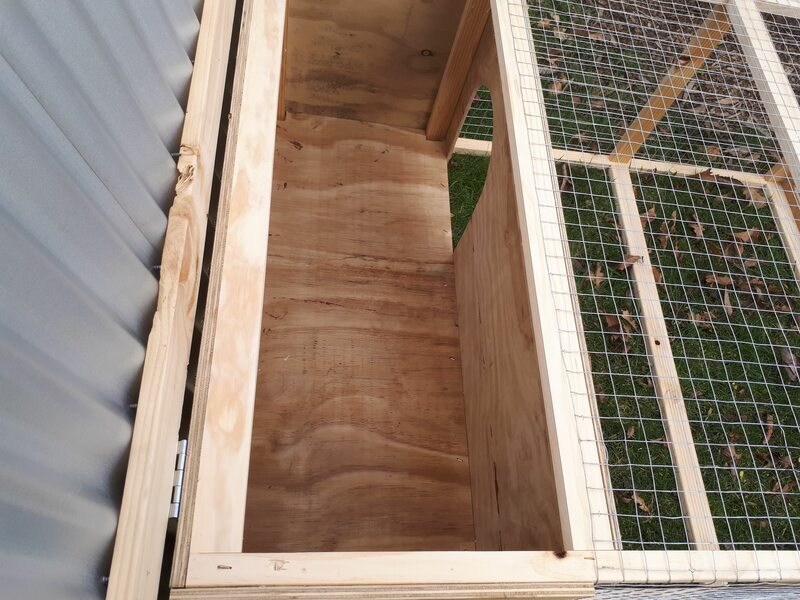 Roof is hinged for easy cleaning. 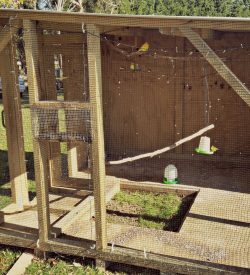 End opens up for easy access and feeding. 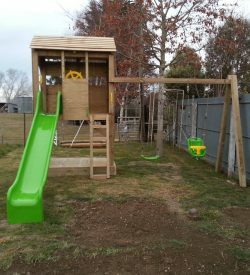 Can be made as a single for $265.